Pete Terell had even more trouble after Century Link installed a new phone line and left it unburied in his backyard. WILLOW SPRING, N.C. (WTVD) -- New technology should mean less problems, but that was not the case for one Johnston County man. Getting a new phone line from Century Link was what started the issues for Pete Terrell. "The original telephone line had such a loud hum in it," Terrell said. "They came out and said, 'Yep, the problem is on the line between the pole, the post out there and the house. I'm going to run a temporary line and someone will be out to bury it.' Okay, fine." Running the new line did fix the original problem. "Phone line now is crystal clear," Terrell said. The over 200 ft. of cable left visible in Terrell's yard was now a new problem. He said something as simple as cutting the grass was no longer possible without having to move the cable. 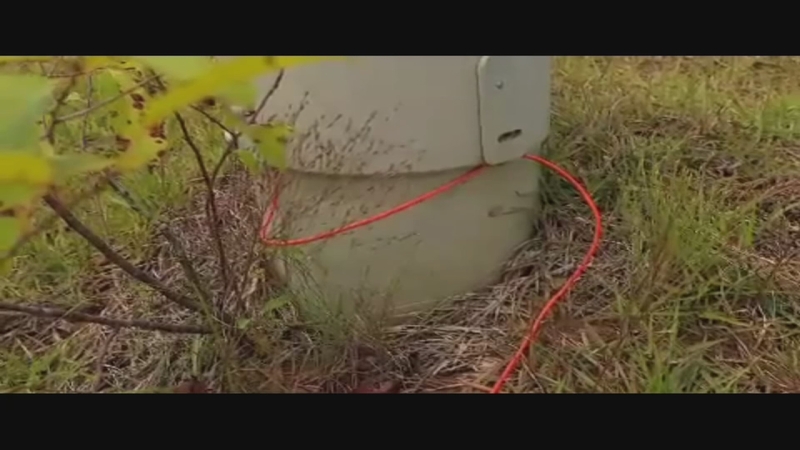 As for the visible phone line, Terrell said he was told it would be buried July 30th. So he started calling Century Link. "So I called them the next day and the day after that and the day after that and the day after that and the day after that," he said. "Then I finally decided, well, I gotta call the Troubleshooter probably to get this taken care of." He got in contact with me and I reached out to Century Link. "As soon as Channel 11 got involved, immediately it was solved," he said. More than 200 feet of cable is finally buried. "Without Diane's help, the problem would have never gotten resolved," Terrell said, "because no matter how many times I called, I never got a response at all." Thank you for bringing this issue to our attention. CenturyLink works with a variety of contractors for this sort of work in the area and we had a miscommunication regarding the work schedule. The phone line was buried on Friday and the issue is resolved. Customers can always call our retail store at 919-586-8323 or stop by the retail store at 1330 East Broad Street in Fuquay Varina if they need additional assistance.